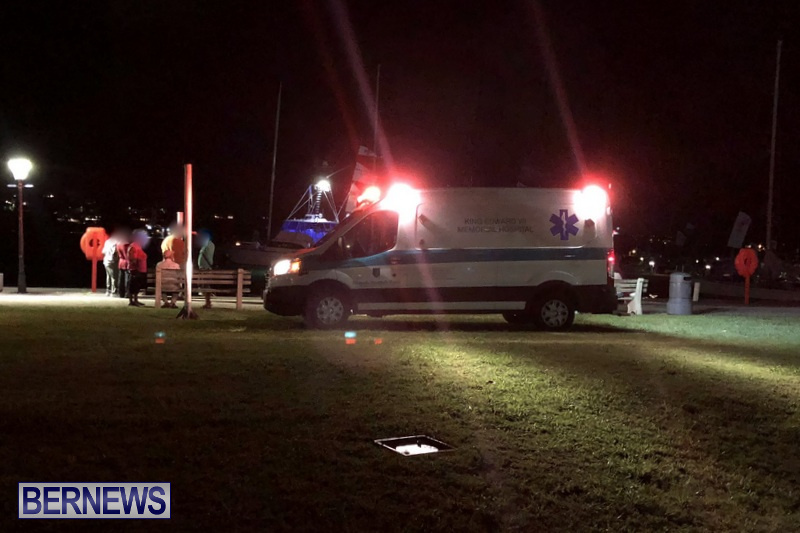 [Updated] Emergency services responded to Albouy’s Point on Friday night [July 6] following a marine incident that resulted in a man being injured and transported to hospital. Police say that “initial information indicated that a collision occurred between the sailing vessel ‘Spirit of Bermuda’ and a smaller boat”. 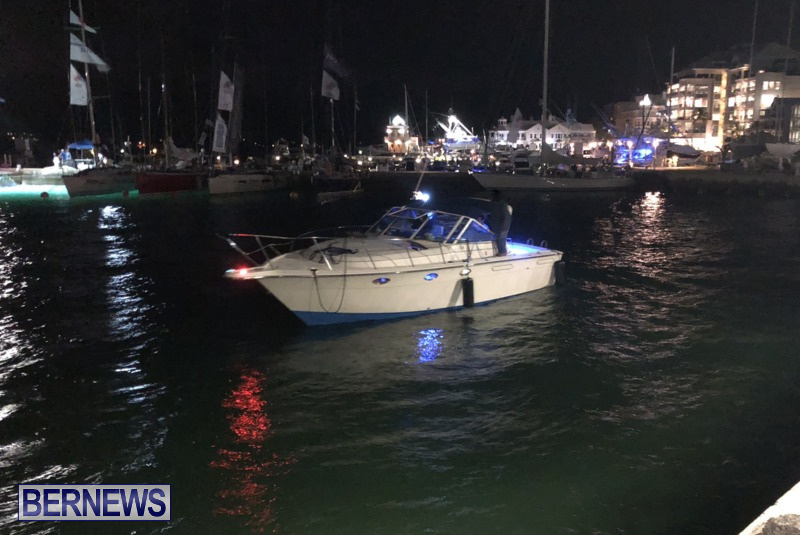 A police spokesperson said, “Police are currently conducting inquiries following a marine incident that occurred sometime between 9pm and 10pm Friday, July 6th in Hamilton Harbour. 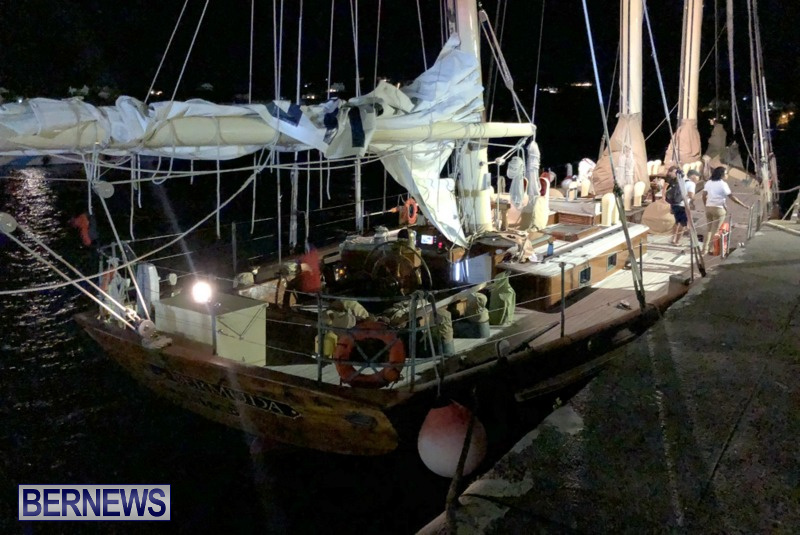 “First responders were dispatched to the scene Friday night after initial information indicated that a collision occurred between the sailing vessel ‘Spirit of Bermuda’ and a smaller boat in waters off Albouy’s Point. “Apparently a passenger on the smaller boat, now believed to be a 63 year old Warwick man, was hurt. He was transported – conscious and breathing – to King Edward VII Memorial Hospital via ambulance for treatment. “His injuries are not believed to be life threatening but an update on his medical condition is anticipated in due course. The extent of any damage to either vessel involved remains unclear at this time. Update July 9, 1.46pm: A police spokesperson said, “At last check this morning [July 9th] the 63-year-old Warwick man hurt in a marine incident involving the sailing vessel ‘Spirit of Bermuda’ and a smaller boat that occurred sometime between 9pm and 10pm Friday, July 6th in Hamilton Harbour had been treated and subsequently discharged from the hospital. “He was a passenger on the smaller boat at the time. “There were no other injuries reported. Damage to both vessels involved is being assessed, but is not believed to be significant at this time. So who was driving this other boat ? Was either skipper breath tested ? If not why not ? Did de Spirit get involved in an accident not too long ago? Glad it was’nt anything serious.